Facilities and services include wireless Internet access, breakfast area, parking (extra charge), 24 hour reception and elevator.Rooms feature wireless Internet access, TV, safe, minibar (extra charge), desk, air conditioning, hairdryer and bathroom.Address: 860 Ocean Drive, 33139 Miami Beach, Florida, United States. 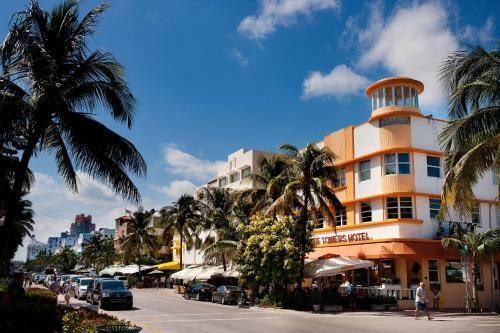 A designer boutique hotel right in the heart of Miami Beach. Discover Room Mate Waldorf Towers. The hotel recently has been completely renovated while maintaining its Art Deco style, achieving the perfect balance between history and modern amenities. Located 100 m from the beach, 1.5 km from Miami Beach city center, 2 km from a marina and 3.5 km from a golf course.